Being injured through no fault of your own at work or in an accident can be a devastating experience for you and your family. Not only is a personal injury emotionally challenging, it can be emotionally draining as well. 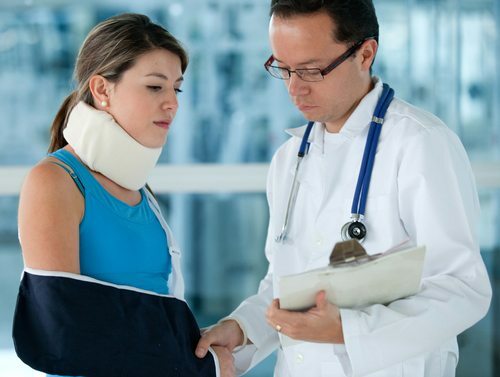 If you pursue a personal injury case to gain compensation for medical bills, pain, suffering and lost wages, how you proceed can make or break your case. Avoid these 5 pitfalls of a personal injury case in order to give yourself the best chance of success. Although social media sites like Facebook and Twitter are used by millions, it may make more sense to take a step back from social media during your personal injury case. It is highly likely that the opposing side — including their attorneys and insurance company — is keeping tabs on your social media pages. Anything you post publicly can be used, and it’s difficult to tell how a seemingly innocent post will be spun to make you look bad. For example, you may have posted about how relieved you are to finally have cleaned your house after your car accident. The other side may use that against you by suggesting that you are not, in fact, injured and that you were able to get around the house and perform daily activities. You may post old pictures from a trip to the beach years ago, and the other side may assume that those are current and that you are gallivanting on the beach after your injury. Instead of wondering what can and can’t be used against you, take some time off social media, or simply don’t post anything publicly. Anything you tell your doctors or therapists after an injury may end up in your medical records, which may end up in the hands of the other side’s attorneys or insurance company. For example, if you tell your physical therapist that your neck hurt last weekend while you were at the park with your children, he or she may enter it into your medical records. The other side may use this information against you to illustrate that you aren’t injured and are capable of going to the park and engaging in other similar activities. If you were injured in and are seeking compensation, it’s critical that you speak with an Ocala personal injury lawyer as soon as possible. At the Slonaker Law Firm, we have the experience and resources needed to aggressively represent you, and petition the court for the highest settlement award in your case. Call for a consultation today at 352-629-6656 or 888-629-6656 to discuss your case in detail with a seasoned personal injury attorney in Florida.